Where do I get Slime Containers? Aside from how to make slime, that’s one of the most asked questions I get from people who like to make slime. Most slime recipes can be used over and over again so it’s important to have slime containers that will keep your slime fresh. Here are some of the containers that I use to store slime. So there are several different ways that I like to store slime. My favorite, and the way that I think is best is slime containers. 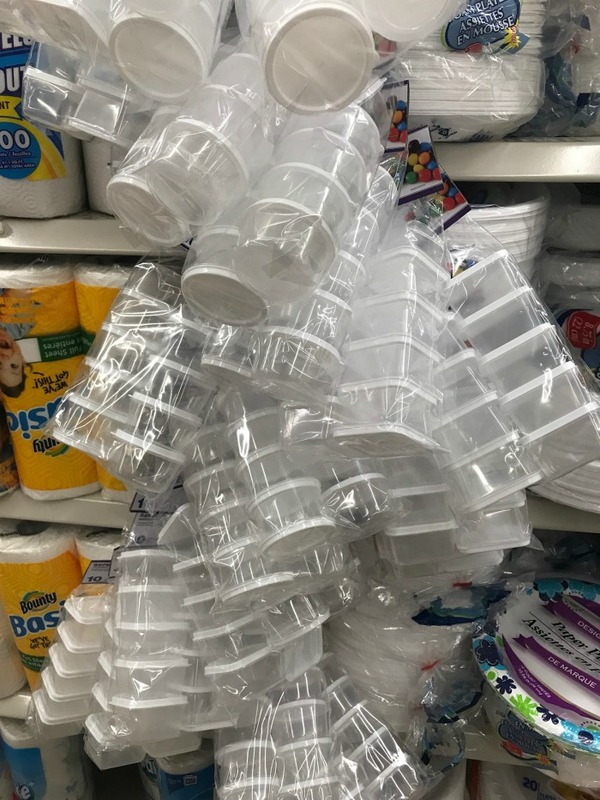 One of my go-to places for finding plastic slime containers is the Dollar Tree. They have a TON of plastic containers that are perfect for storing your slime. I normally stock up on the 10 pack of small 2 ounce containers that are great for small batches of slime. 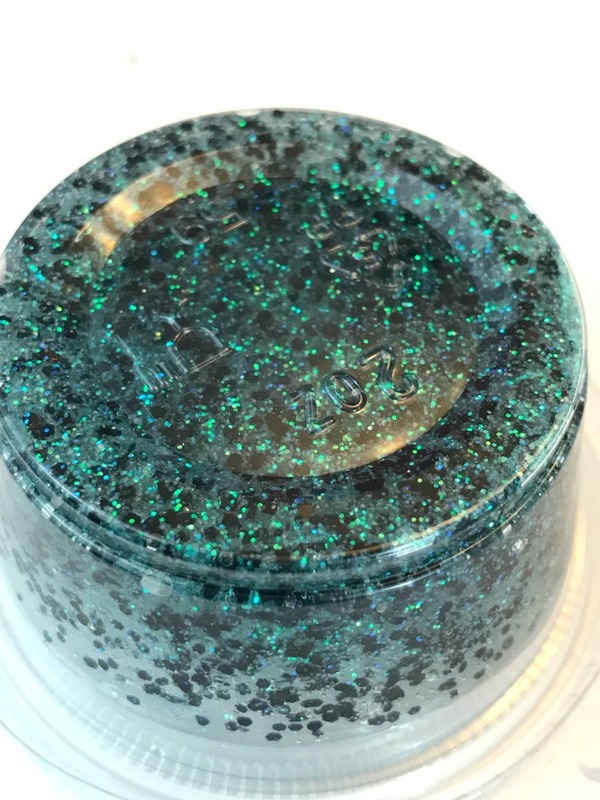 These containers are also great for making slime party favors. We made a bunch for Halloween and passed them out instead of candy. They were a huge hit with the kids. If you’re making a large batch of slime then you will need a larger container for your slime. Make sure that your get containers that are air-tight. Air tight containers are the best for storing your slime and making sure the slime stays fresh longer. 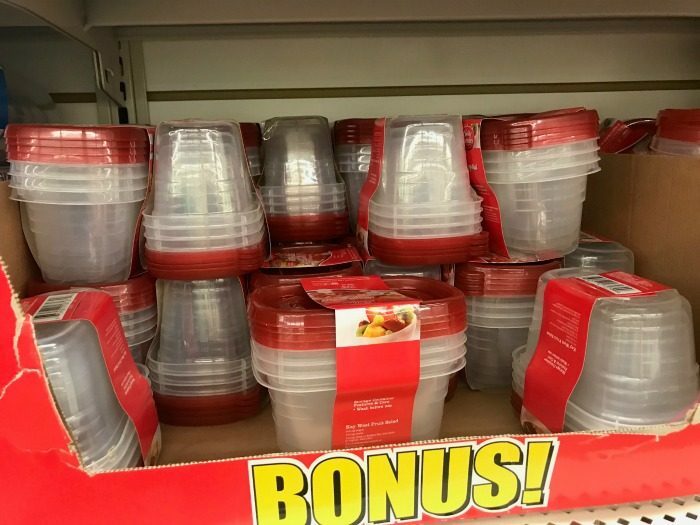 They also have larger containers at Dollar Tree, but I find that the quality of these aren’t as good as other places. The plastic tends to break very easily so if I have a larger batch of slime that I want to store I get better quality containers. Uline is a great place to buy slime containers. I know that a lot of the slime stores that you find online use Uline for their slime containers. They have different varieties of containers and they are high quality. But they are very expensive. So if you are just storing slime for personal use I wouldn’t recommend purchasing them here. However if you are planning on selling slime then you might want to give them a look. I pretty much mentioned these above but here is a breakdown of my favorite slime containers and where to buy them. Some of these plastic slime containers are pretty inexpensive and some of them will cost you more. It’s really a matter of the quality of slime containers you are looking for. 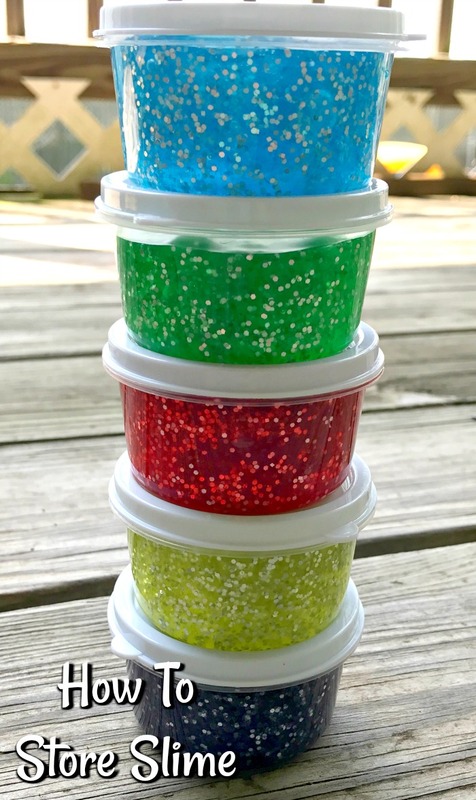 2 Ounce Slime Containers for small batches of slime or slime party favors. You can get them in circle or square containers. 4 ounce containers. These aren’t my favorite because the plastic is pretty thin and break easily but they are great for home slime storage. Uline is a great place to purchase a large amount of slime containers. They are pricey but worth it if you plan on selling slime. They have different sizes of containers but the one’s that I see used the most on easy are the 6 ounce Clear Plastic Round Wide-Mouth Jars. You can get several different plastic containers to store your slime at Walmart. But the slime containers I typically buy are the plastic disposable containers. They come in 2 ounce and 4 ounce sizes. These are also great for large small batches of slime. There are tons of different options for slime containers on amazon. You can get regular plastic containers or even cute containers to store your slime. You can pretty much buy plastic containers anywhere for slime. The key is to making sure that the containers you use are air-tight. Keep Slime Fresh For Weeks! Once you have containers your slime should keep fresh for several weeks. The key is to make sure that you are washing your hands before you touch the slime. Slime is sticky so anything on your hands will end up on the slime. Germs + Slime + GROSS! You also want to wash your hands after playing with the slime. The key to keeping slime fresh is always clean hands and an air tight container like the ones mentioned above. You have these two and your slime is going to last awhile. Now that you know how to store your slime it’s time to make slime. Here are some of my most popular slime recipes. To go directly to the slime recipe just click on the picture for the full instructions.